Did you know that only 8% of us actually achieve our New Year's resolutions? With stats like that, it might seem unlikely that your company can do the same. But with a bit of realistic (and achievable) goal setting, your small business can be part of that elite group too. Here's how. Though it may seem so at first, there really is no big secret to achieving your New Year’s resolutions. Whether those are personal resolutions or business ones, the main factor that affects your chances of success is how realistic they are. By knowing what’s possible (and what’s not), you can achieve all of your small business goals in 2017. Here are four New Year’s resolutions that we think any small business can, and should, achieve next year. Growth is something that every single company should be focused on, but how well this is defined can make a big difference. Without specific milestones, growth can be a difficult thing to quantify, so for 2017 it’s a good idea to define your growth targets. This could be anything from launching X new products to hiring X extra staff members. It’s totally up to you, but by putting real targets in place, you’ll find that achieving real growth is easier than ever. The business world has never been so rich with promotional possibilities. Whether that's creating a viral video or sponsoring a local sports team, 2017 has plenty to offer small businesses. If you’ve been using the same channels for a few years now, it may be time to focus on something new. This can be as simple as creating and maintaining a new Facebook or Twitter account, and it’s a measurable objective that’s achievable for any business too. Naturally not all of these will fit every company, but do try to review your culture for 2017 and see what a difference it can make. 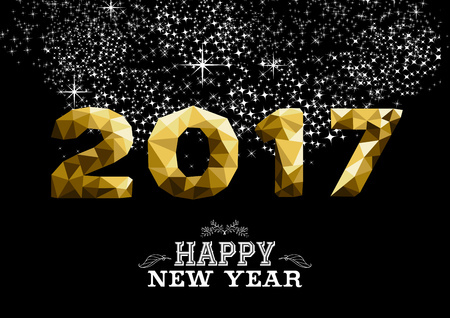 While all of the above are great resolutions to ensure 2017 goes with a bang, there’s one thing that will help more than anything else: quality CRM. Customer Relationship Management is often overlooked, especially by small businesses, but it’s a fantastic way to boost retention – which some may say is more valuable than new customers. If you’re having issues with lapsing customers and poor retention, 2017 may be the year to review your CRM strategy – and the AutoVu platform is a great place to start. Ready to really hit the ground running in 2017? With the AutoVu platform as part of your business, you can make it even easier. Explore the site today for more info, or just call our friendly team now on 0845 474 8824.